Inspired by the sheer range of problems people have with Google Analytics, which is, in reality, a very complex tool, I decided to write a general guide where I reveal some of my own methods on how to troubleshoot Google Analytics. 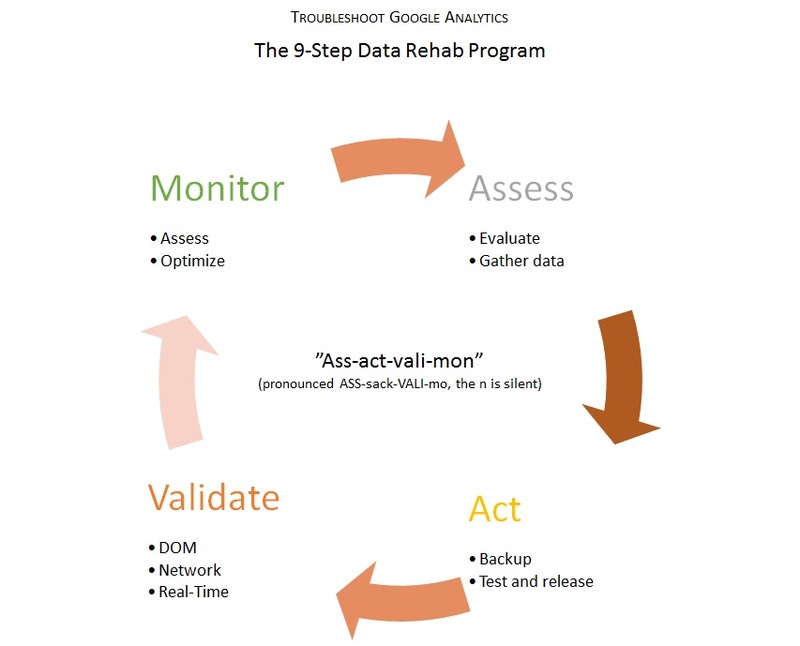 I almost always follow these steps, and if you give this data rehab program a try, chances are you’ll be more secure with your data in the future. 1. GA displays symptoms, not actual problems. Web analytics tools measure data in your marketing channels. They don’t create data, nor do they feed anything back into the site. This means that when your boss comes storming into your room screaming “What the f*** is the problem with this report?” you’ll need to tell the boss that the report just visualizes the problem, and you need time to get to the bottom of it. I’ve tried to be as comprehensive as possible, while still being as generic as possible. The thing is that most problems, if not purely technical in nature, have something to do with the business area you operate in. Fluctuations in your market segment, media exposure, new product launch, viral content are all possible causes behind the things you see in your reports. In those cases, remember to approach the data as the business expert. Don’t just trust any crazy blogger who gives you tips on how to fix everything. 3. Be careful with your data. During assessment, you gather as much data on the problem and its symptoms as possible. Be thorough, and make sure you look at the problem from all angles, not just the ones you’re used to. First thing you have to do is narrow the problem down. In this example, conversions fell dramatically in July, and they never got back up. When looking at the channels, focus on engagement and visitor behavior: has something changed in how people use your site at the same time the conversion rate has gone down? So if the symptom is a gradual change in your data, make sure you understand the visitor journey completely. However, if the symptoms are more drastic (traffic cut off completely, for example), there’s bound to be some technical issues involved. All in all, try to narrow the issue down so that you can describe it with one sentence, e.g. Once you have an understanding of where the problem might be, start gathering data. Note that if the problem is minor and easily identified, you can pretty much skip this step. Gather intel about changes in your environment. Remember, you have to link the symptoms to a problem. You can’t just look at a plummeting conversion rate and expect to fix it in the Google Analytics UI (though sometimes the problem is in your Google Analytics settings). If some metric has suddenly dropped, for example, you should identify who the stakeholder is. If the problem is in your tracking code implementation, you need to contact whomever manages your page templates. If the problem is that your servers are unresponsive, you need to contact your IT management. If the problem is that you’ve been penalized, you need to contact your SEO consultant. And so on. Look for clues and changes in your environment that could be causing the data problem. Without instigating a witch hunt, try to find whoever or whatever is responsible for the problem. Note that sometimes (especially when the symptom is a gradual shift in a metric), the problem might be a combination of factors. The more problems there are, the more focus you need. When you’ve reached this point, you know the symptoms, you know the problem, and you’ve gathered enough data to warrant action. When making changes to your code, your site, your environment, or your Google Analytics account, just remember one thing: a single error can be fatal. Think of yourself as a neurosurgeon operating on Stephen Hawking’s brain. You really, really, don’t want to make a mistake. Before you do anything drastic, make sure your data is secure. It’s so incredibly important to have a raw Analytics profile where all data is secure. If you make the beginner mistake of creating a filtered profile, with no master profile to get back to, you’re losing potentially heaps and heaps of data. Remember to back up your templates and code before you make any changes. Of course, if problems have cropped up because of faulty code, you should look at previous revisions (so you should already have backups of your code to roll back to). Because some data might take from hours (e.g. new pageviews) to days (e.g. eCommerce) to collect, it’s important to have a clear implementation plan. Google Tag Manager automatically saves versions of your containers, which is another brilliant reason to start using it. 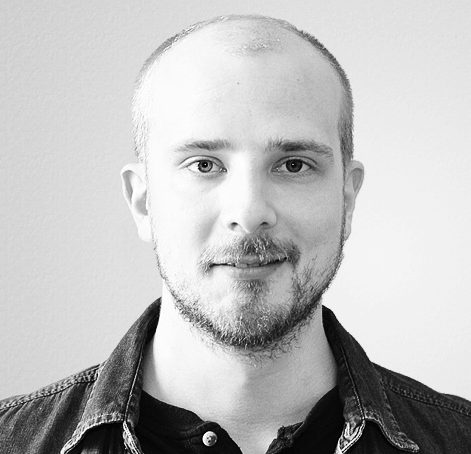 Check Daniel Weisberg’s guide to building a bulletproof Analytics implementation for ideas. If the change is something that needs to be tested on real data, you might want to shift to a higher gear and just take the change live instantly. In this case, you need to place extra focus on steps 5–7. When testing, validate the test with the instructions in the following steps. Make sure the changes you made are actually registered in Analytics. Note that with some problems, only time will tell if the change was for the better. That’s why it’s even more important to have a raw profile to fall back to if you happened to mess up your implementation. When testing, make sure you do what your visitors would do. Your code should have enough try…catch blocks to make sure that errors don’t decimate your site, but you really need to follow actual use cases when testing the implementation. If testing a sales funnel, for example, remember to drop out from each stage of the funnel. This way you can see if the funnel has been correctly configured. When testing a new event, test it with multiple browsers and devices. There are so many browser and device incompatibilities, and you need to be aware of these when analyzing your data. When you’re all done with your testing, and you’re happy with the results, you can publish the changes to your live environment. Just remember to update the tracking code from the test property to the actual live property. During testing and immediately after you’ve updated your live environment, you need to make sure that the changes are being recorded in Google Analytics. Due to some delay in data refresh, you might not see anything for some time in the standard reports. This is why knowing how to use debugging tools and Real-Time reports is really important. You can find a nice list of debugging tools on the Google Developer pages. The first thing to do is go the page where the implemented code changes are running. Use a network debugger to monitor the requests that are sent to the server when loading the page. Firebug, Chrome Developer Tools and IE Developer Tools all have tabs for Network debugging. You might have to reload the page for data to appear in the Network tab. When looking at the requests, try to locate any requests for GIF files that are done to Google. You can identify these by looking for the domain “google-analytics.com” in the path or domain information. If you see no requests, then the tracking code isn’t working and you need to go right back to your code. For each page, you need to find one request which includes the pageview, and one request for every event that you fire on the page. You can identify what type of request you’re dealing with by looking at the parameters sent with the request. So first choose the request and then click on Params (Firefox) or Headers (Chrome). With IE it looks like there’s no default option to view parameters, so you have to look at the URL call instead. In the image below you’ll see what a Universal Analytics pageview in Chrome vs. a Universal Analytics event in Firebug look like. Here are the GIF parameters for Google Analytics and for Universal Analytics. The DOM, or the Document Object Model, represents all the objects that can be accessed client-side in your web page. This means that if some data is stored in a variable (for example to be sent to Google Analytics), you’ll find it in the DOM. I really recommend using Firebug, since it has a very intuitive UI for DOM and console inspection. Familiarize yourself with the DOM profile of your pages, so you’ll know where to look for information in the future. One of the incredible features of Google Analytics are the Real-Time reports. Seriously, I could spend hours just looking at the traffic come and go. Real-Time reports show data as it passes through the Google Analytics API. You’ll see visits, visitors, events and so forth, all in a nice graphical interface with a number of segments you can play around with. So if the GIF requests are passed correctly, and if the DOM is healthy, open Real-Time in the GA interface to make sure that data is actually being collected, labelled, and processed correctly. Test it by going on different pages of the site with different browsers. Go to pages where there used to be problems, and check that pageviews and events are fired correctly. Use Real-Time until you’re bored, and then use it some more. It’s a really powerful debugging tool. Monitoring is crucial if the change you’ve implemented has a gradual effect. Sometimes the changes you make are realized only after enough traffic passes through your site. This might mean that you don’t know for days, or even weeks, whether or not the change was for the better. This is why you have to monitor your site effectively, especially in the days following the update. Go back to the reports you gathered in the first stage of the rehab program. Follow the step-by-step guide of reproducing the symptoms, and verify whether or not the symptoms have subsided. Identify, locate, and follow any collateral symptoms that might arise due to the changes you made to fix the previous problems. Make sure you have enough evidence to support the fact that the changes you made were necessary, and any further fluctuation in the data is the result of the update you did. It might be that what you did was effectively a lose-lose situation, where you just chose the lesser of two evils. Be prepared to act on your findings, since the relationship between traffic on your website and your Analytics account can be very fragile. Smallest changes in the system might have big ripple effects on the quality of the data you collect. Especially after writing new code or making changes in the templates, you might need to go back to your code and optimize it. Especially if you’re chaining events or making stuff happen before the pageview is called, you might see problems in the future. If the pageview is not sent, you might be seeing “ghost” visitors, who add to conversions, but who don’t count towards visits. This will have an adverse effect on your conversion rate. Similarly, if you’re chaining events, you might come across a situation where the previous event hasn’t completed once the next event is already firing. This is a sure-fire way to get events with empty parameters. I would seriously recommend you to familiarize yourself with Google Tag Manager. It handles event chaining like a charm, and debugging, testing, and implementing code changes is really simple and handy. If all else fails, contact me and I’ll help you. Seriously, I love to help. As long as we’re just talking about simple consultation (helping with the steps in this guide, for example), I’m sure I can help. If we’re talking about bigger stuff (such as new implementations, writing custom code, managing your accounts, etc. ), you’ll have to contact me through my agency, NetBooster Finland. Also, remember to check the wonderful Google Analytics Google+ group for help as well. Google Analytics is a wonderful, complex tool, with so many opportunities for analysing your online presence. However, due to the complexity, there’s a very high probability that you’ll come across problems with your Google Analytics implementation. Just be methodical in your approach, make sure you record what you’re doing (for further use), Google furiously if you come across any problems, and you should be fine. Don’t forget to have a raw data profile for each of your Google Analytics web properties!